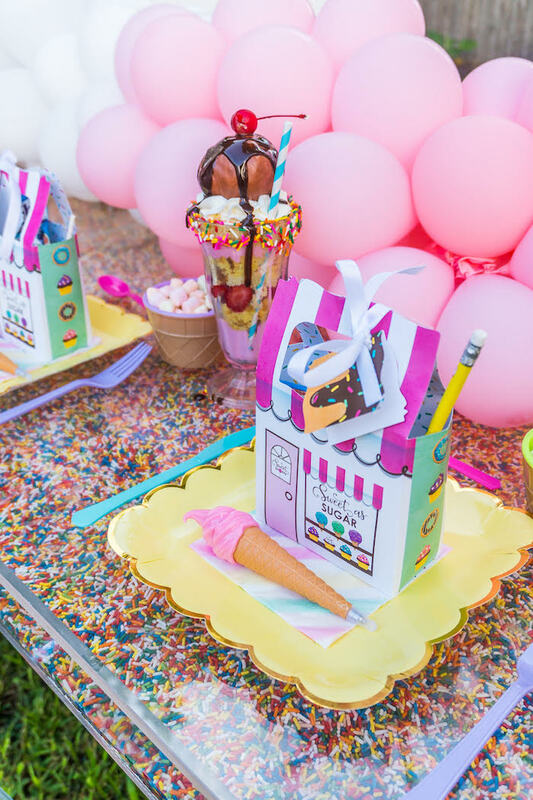 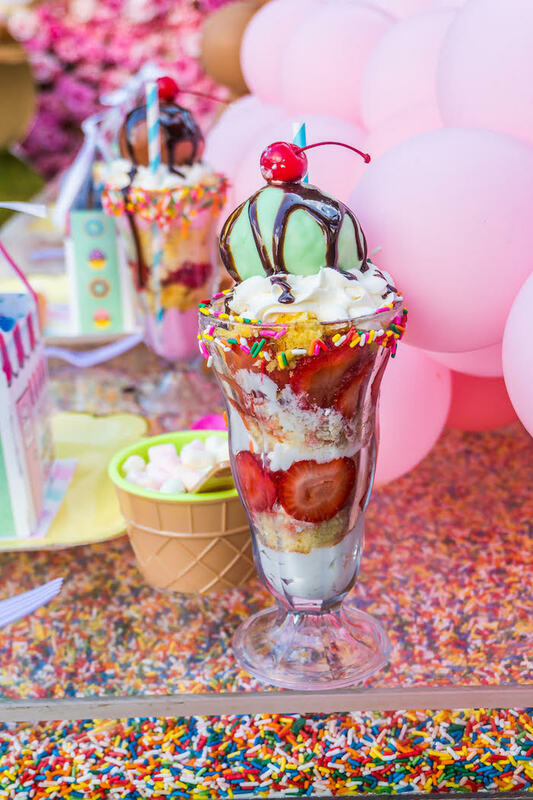 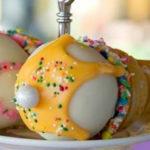 Bring out the scoops and begin to dish, this Ice Cream & Sprinkles Birthday Party, is absolutely delish! 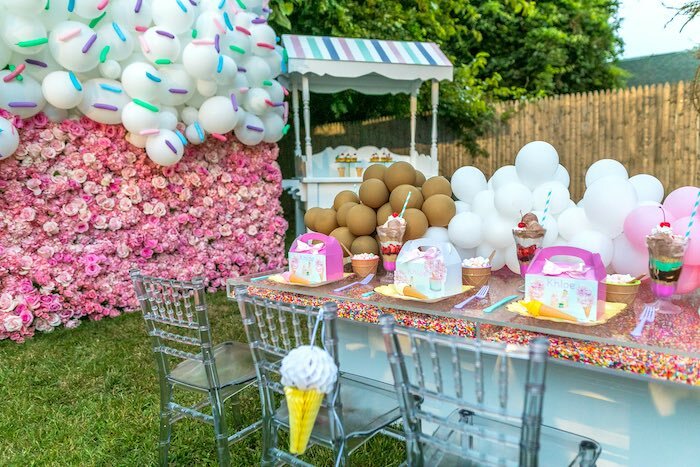 Drizzling with details scrumptious and sweet, this birthday celebration by Katherine Duplessis of KBelle’s Design, out of Suffolk, Long Island NY, is a tasty treat! 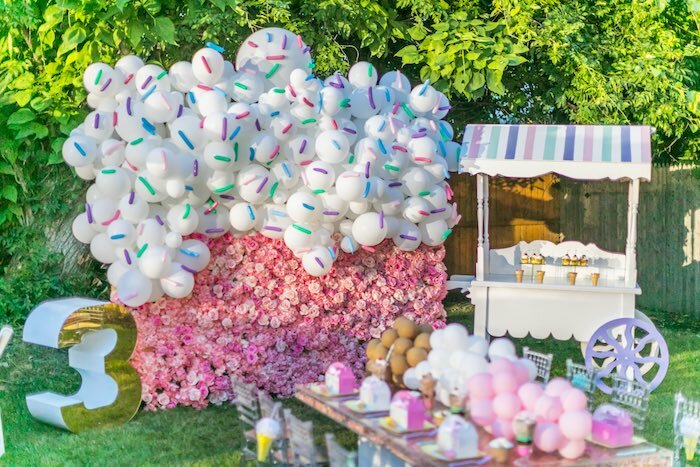 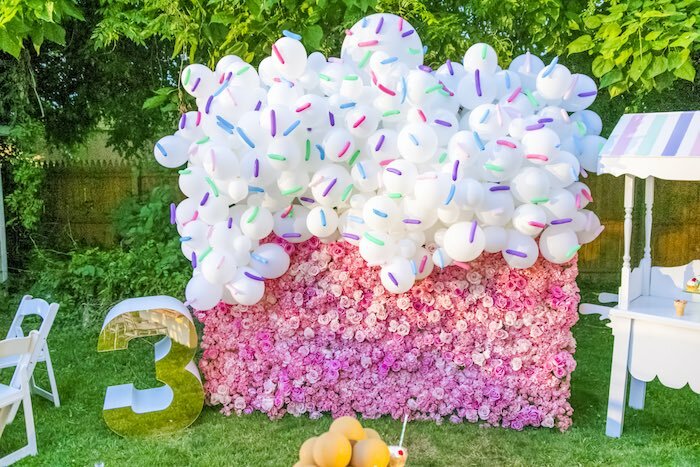 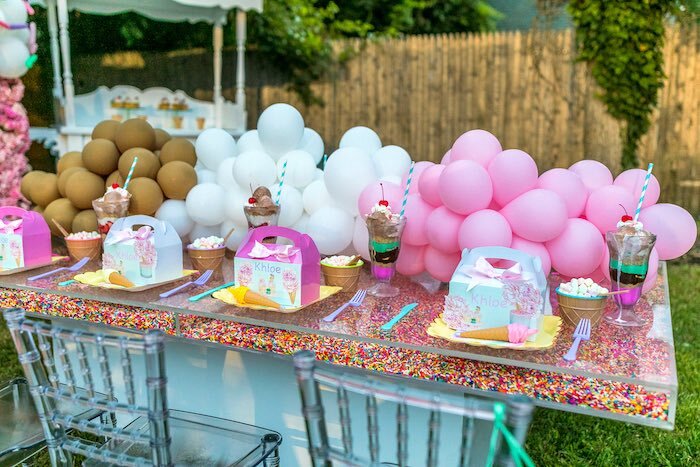 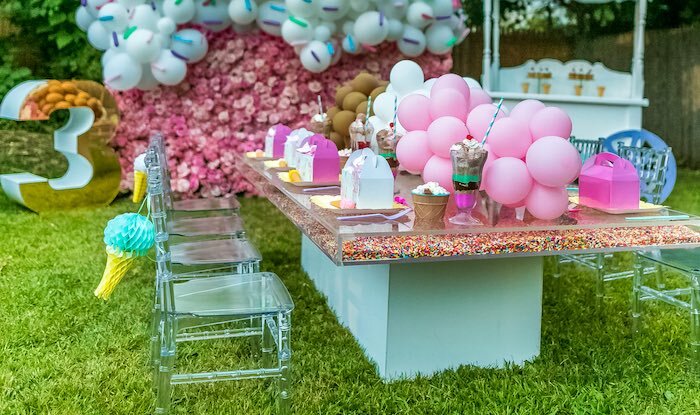 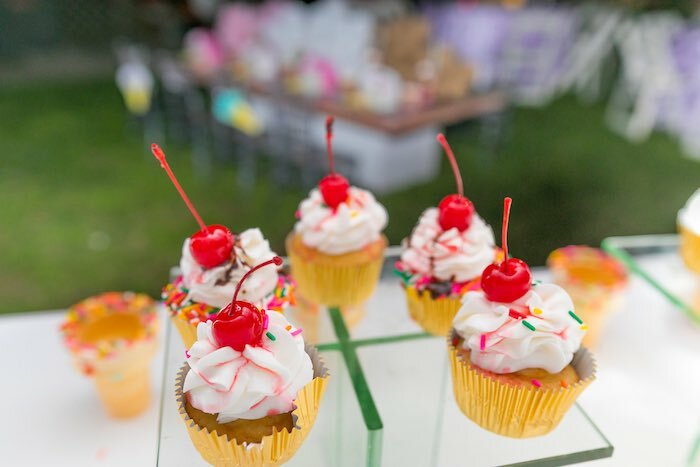 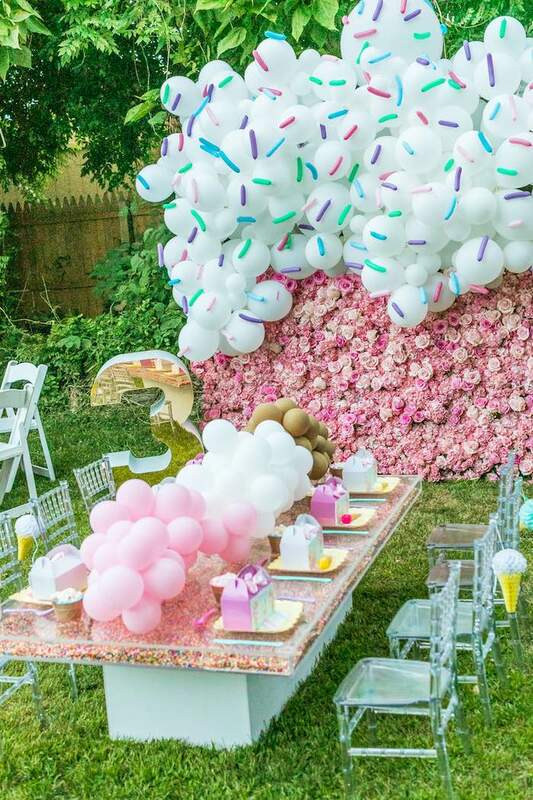 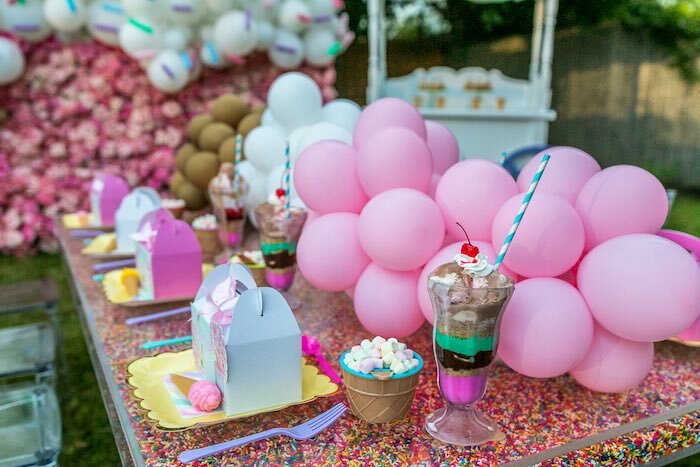 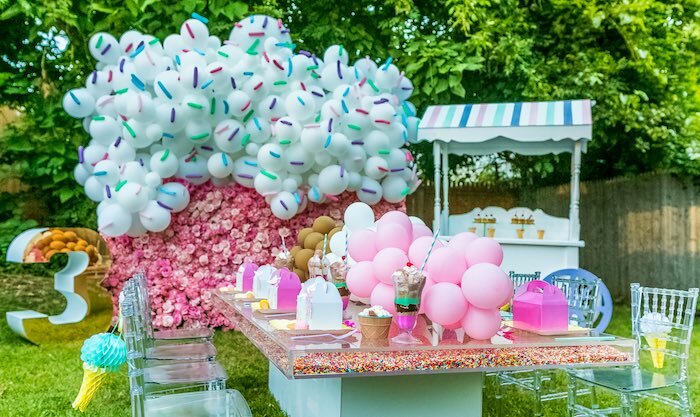 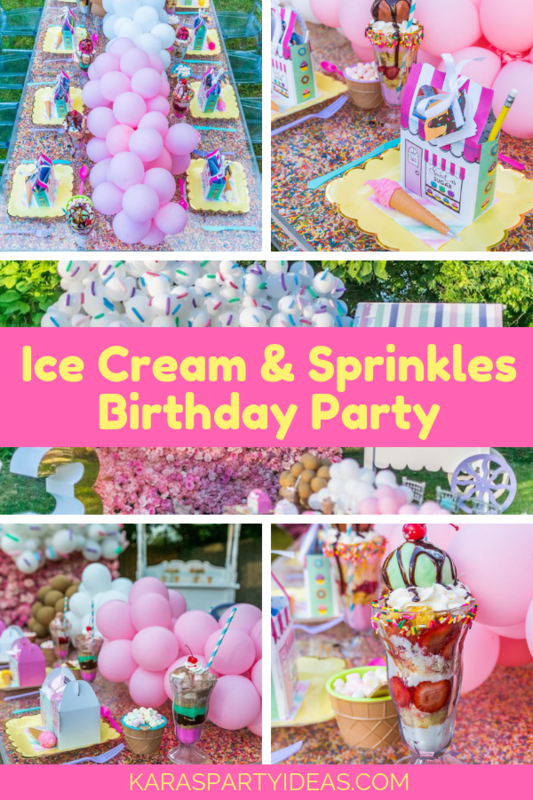 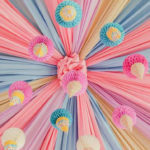 Katherine’s party snippet- “Khloe 3rd Birthday party was filled of yummy treats(rice crispy treats, sundaes, cupcakes) made by her Mom and design & concept by KBelle’s Design. 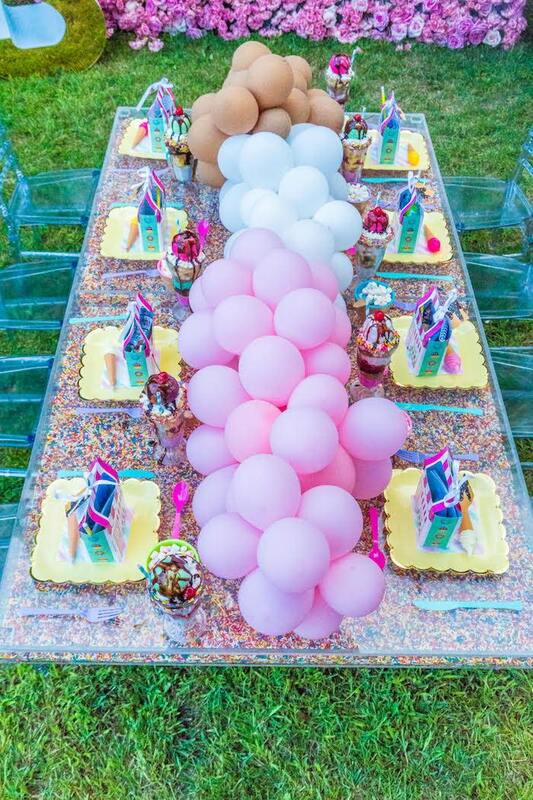 A clear acrylic table filled with 100 pounds sprinkles. 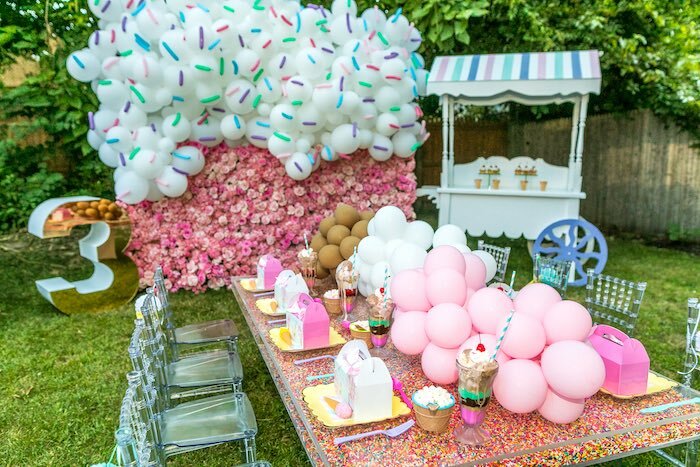 Custom balloon & floral wall. 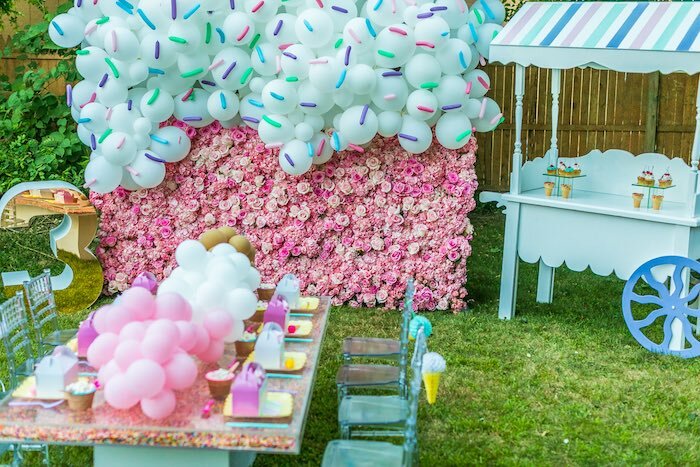 We wanted to do something different which had never been seen before. 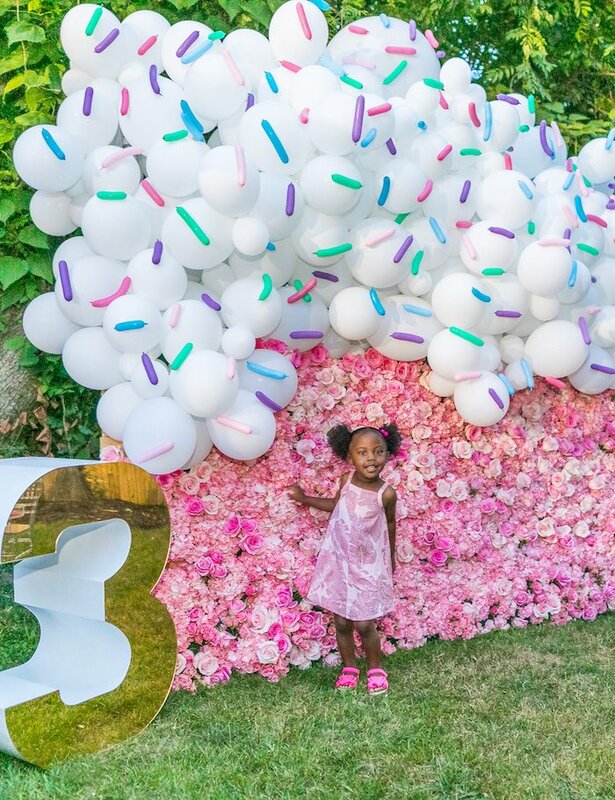 The mom & I love flowers and Khloe loves Balloons. 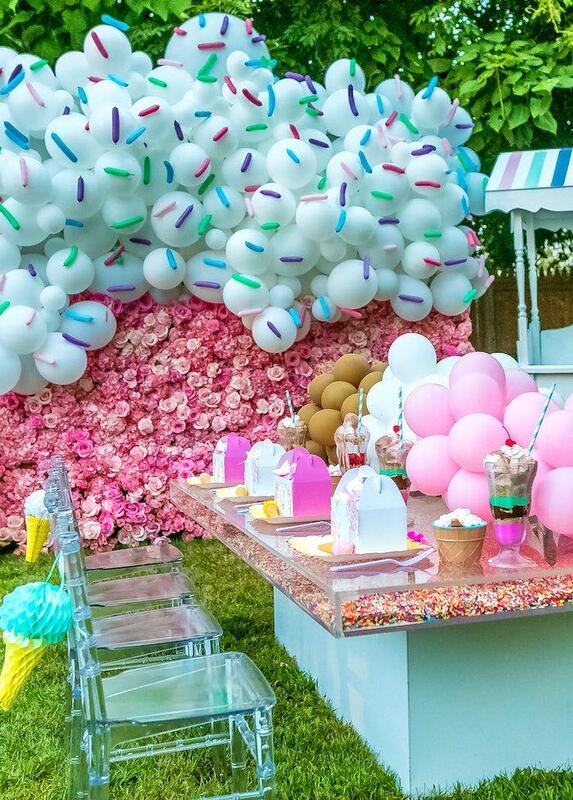 So why not do a Combo wall. 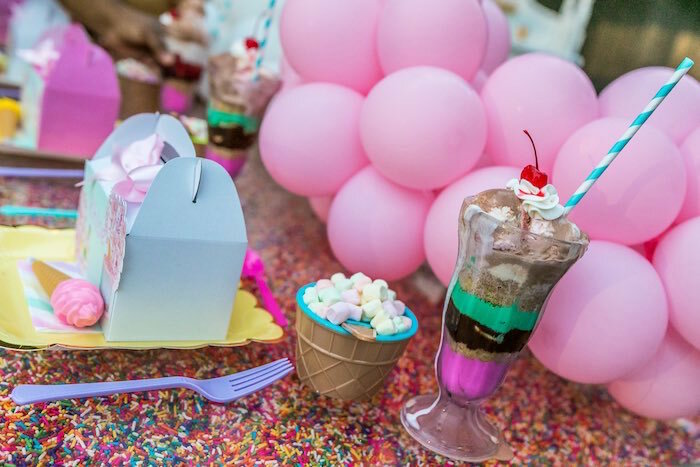 Ice cream cups found on amazon filled with mini marshmallow.